The Senior Special Assistant to former President Goodluck Jonathan on Public Affairs, Dr. Doyin Okupe, on Sunday, mocked the All Progressives Congress over the internal crisis plaguing the ruling party. Less than a month after President Muhammadu Buhari took the oath of office, the APC has been embroiled in a crisis caused by the election of principal officers in the National Assembly. Consequently, Buhari has not been able to appoint ministers or make significant progress due to the feud between the loyalists of Senate President Bukola Saraki, and the National Leader of the APC, Asiwaju Bola Tinubu. 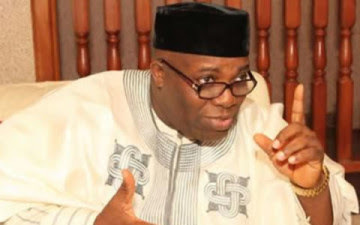 Okupe, while reacting to the APC crisis on his official Facebook page, maintained that his prediction, like the word of God, would come to pass and nothing would stop it. While quoting the Bible, the former presidential spokesman, who once described Jonathan as being like Jesus Christ, said his prediction could only be delayed but never foiled. In a separate interview with our correspondent, a former National Deputy Chairman of the PDP, Chief Bode George, told our correspondent that the crisis within the APC would lead to the party’s disintegration. George said the PDP was confident of regaining power in 2019.